With Monica’s guest post, and subsequent discussions by Lizzie at The Vintage Traveler, I have been inspired to revisit a topic dear to my heart — Kashmir shawls, and their European imitations. I discovered Elizabeth Gaskell, I’m embarrassed to say, not through her wonderful novels, but through the dramatized BBC miniseries for North and South. It was a period piece, the costuming was beautiful, there was a handsome leading man… That was more than enough to gain my attention. I loved the series so much that in 2008 I bought the book. Little did I know then that the passage above would not only spark a keen interest in Indian shawls (as discussed in the preface to Monica’s guest post back in January), but would set me on a new career path, and even take me to India. My annotated edition of North and South was extremely valuable as I knew very little — still know very little — about Victorian society, and the references and explanations provided by Patricia Ingham taught me why certain events within the novel had the repercussions and reactions that they had. However, within the first ten pages I was frustrated, as I could not understand why Indian shawls were so coveted, let alone what they were. I embarked on a quest to learn. I soon found out that they were actually Kashmir shawls, made of cashmere, and woven in the Kashmir region, all of which was lumped together as “India” in Britain at the time of their discovery (seventeenth century), and throughout the time of the shawl’s popularity (late eighteenth, and well into the nineteenth century). They were handwoven of rare and expensive materials, and were difficult to import, especially with near-constant wars and rivalries with France, making them a rather exclusive status symbol, and one that was extensively copied. Thus making the originals even more valuable. Along the way, I also discovered an entire academic field that had been unknown to me, alternately called costume, fashion, or dress history. Long story short, I ended up in Edinburgh, earning a degree in Art History, focused entirely on material culture — specifically dress and textile history. It seemed only natural when I decided to explore the influence of India on British dress and material culture in my dissertation that I would need to do an entire chapter on these “Indian Shawls”, and how they not only saved the British silk-weaving industry, but inspired major technological advancements in the pursuit of better and more intricate copies, and how a uniquely Indian pattern came to be known in English after the Scottish town of Paisley. These shawls were originally worn by men in India and Persia, as can be seen in the portrait of Captain John Foote below. This portrait is one of those rare instances where we not only have the portrait, but the same museum (York), has the actual garments worn by the sitter as well. 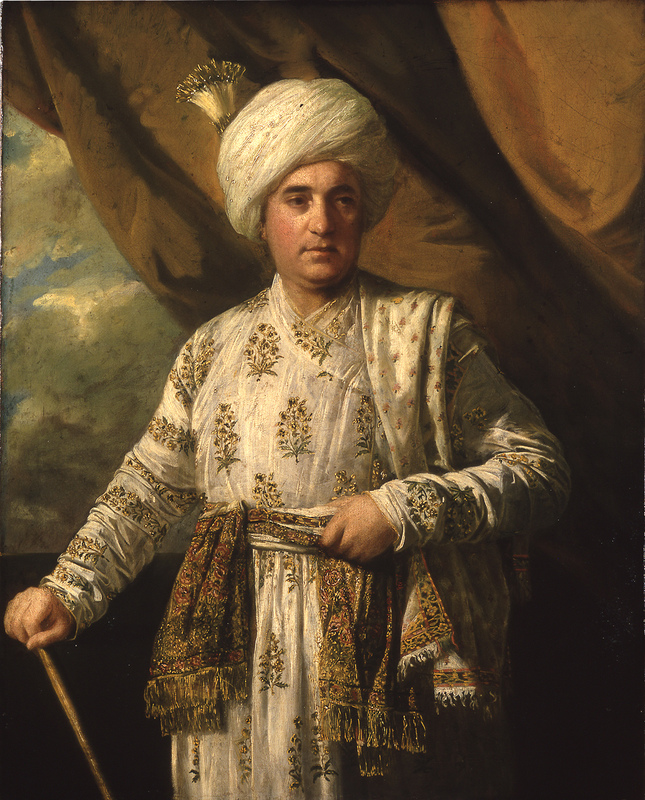 The shawls were typically gifts to favoured diplomats, or courtiers in Indian and Persian courts, given by the monarch in gratitude for services, successes, or loyalty. There are even accounts in the late seventeenth and early eighteenth centuries of their being excellent bribes to and from the East India Company. It is not clear how they came to be worn by Western women in India, but wear them they did, and it is believed it was these women — called nabobinas by a distrustful and dismissive press and public back in Britain — who brought the first shawls back, and set a new fashion. Sir Joshua Reynolds, Captain John Foote, 1761 – 65. Oil on canvas. 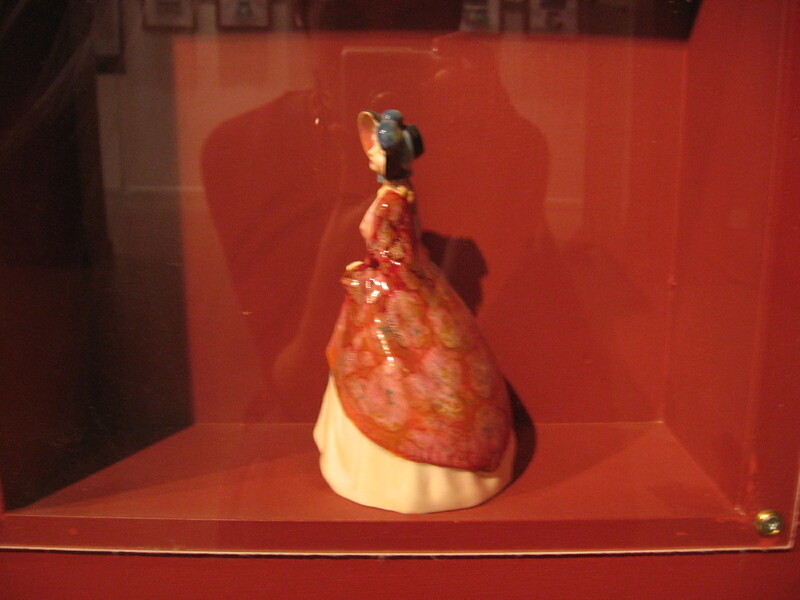 York Art Gallery Collection. Image courtesy York Museums Trust (York Art Gallery). The earliest account of these shawls comes from the love letters of the author Laurence Sterne, who wrote Tristram Shandy, to his beloved, the unhappily married Eliza Draper, who had returned to England from Bombay on account of her health. He mentions after their parting — her husband had heard she might have fallen in love with someone else, and also to protect her own reputation she returned to India — how he cherishes the shawl she left him as all he has left of her. Their rarity, their colours — Indian and Kashmiri textiles were far more vibrant and more colour-fast than anything the English could produce — as well as the exoticism of coming from the subcontinent and the very foreign design aesthetic made the shawls a much-desired garment. They were particularly to be worn while on promenade, whether in London or Bath, where everyone who was anyone could see you, and it. 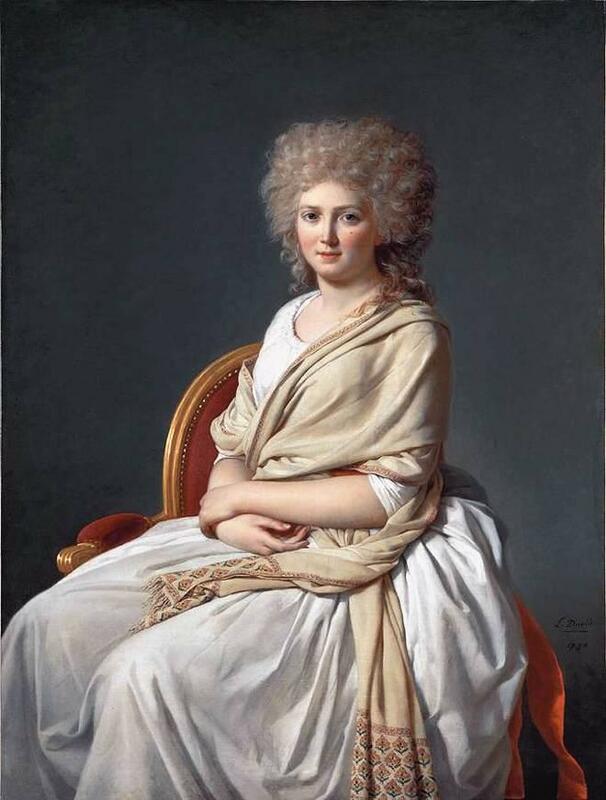 By the late 1790s, with the shift in fashion to the more grecian directoire or Empire styles most often seen in Jane Austen film adaptations, Indian shawls gained even greater desirability: thin cotton muslins will do well in India, or even southern France or Italy, but in the chilly climates of Britain, a warm shawl that manages to retain the grecian aesthetic is particularly useful. It was also a way for the elite women of France to display their wealth in a less ostentatious way than the wigs, hats, sacques and other mantua that had made them targets during the recent revolution. Or one would be better to say it made it possible for the men to demonstrate their wealth, as dressing one’s wife was as important to maintain the appearance of being a gentleman with taste as decorating one’s house. I love the eighteenth and nineteenth centuries, but I’m not blind enough to want to live in them. 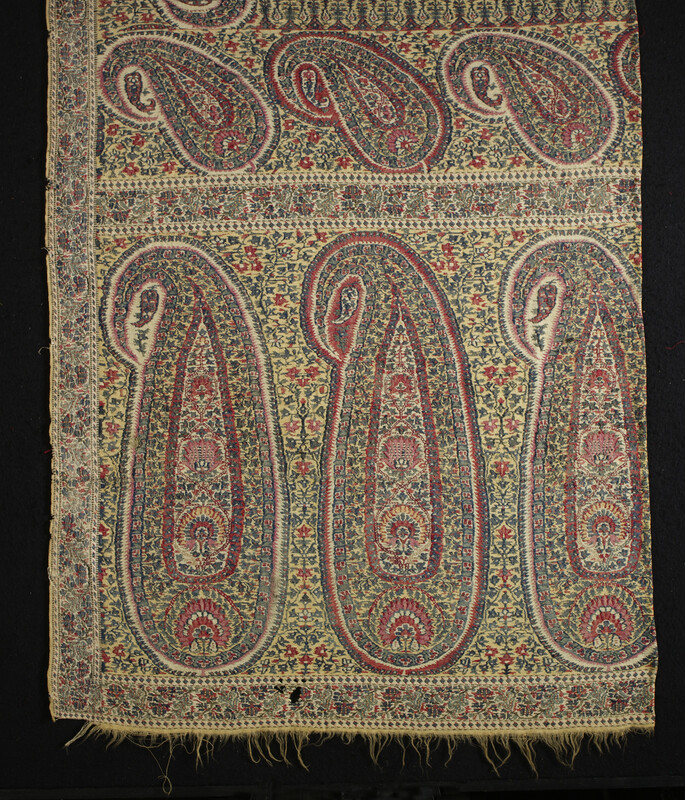 Kashmir, Shawl, circa early nineteenth century. Woven cashmere. Victoria & Albert Museum, London. Image Courtesy of the Victoria & Albert Museum website. Poor, overworked, weavers working by hand in Kashmir could not keep up with the sudden and increasing demand in Europe, and very few people could afford the shawls, anyway. A shawl in the eighteenth century cost between 70 and 100 pounds, the equivalent of $9,000 – 12,000 today. This left the market open for imitators, and many clamoured to fill it. This demand for shawls coincided nicely with a drop in the British silk-weaving industry, since Britain was at war with France, and France had been Britain’s supplier of silk. The British authorities were also worried about the fashion, as the government saw it as threatening British goods, British work, and they could not earn much money off of them besides tariffs, which many traders would avoid by smuggling the goods in via the black market. In an era before digital records, there was no way to know how shawls in a particular shop had been imported. There were even schemes to bring Cashmere goats in to Britain and create their own crop of the fibre, but on the few attempts to import the animals almost none of them survived the crossing, and those that did, did not survive the new climate. Then, a weaver in Norwich came up with the idea of combining silk with high-quality wool to imitate cashmere, and suddenly, you could have something almost, but not quite, like the new shawls for only a fraction of the cost. Weavers in Edinburgh, France, and Paisley, Scotland quickly picked up on the combination themselves. Mechanized weaving had been established in Britain and Europe since 1785, meaning that while the quality was not as good as those coming out of Kashmir, they could produce more and faster. 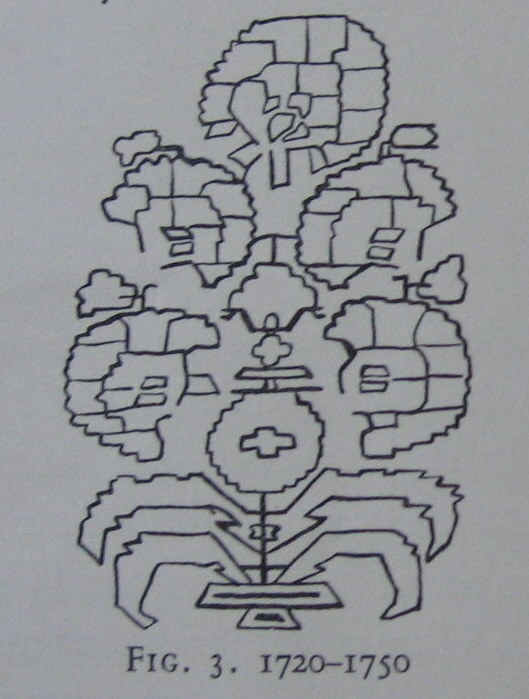 And as can be seen in the images below, just as with chinoiserie or Japanned furniture, the designs were obviously a Western interpretation of an Asian aesthetic beyond their comprehension. Then, in 1801, Joseph Marie Jacquard of France developed the Jacquard mechanized loom, which enabled the weavers to create intricate, all-over patterned shawls, further shifting the aesthetic back in Kashmir. 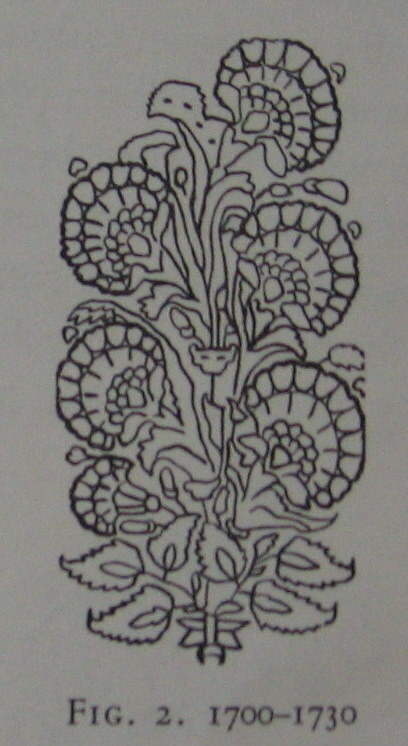 Complicated patterns are still known in English today as jacquard. 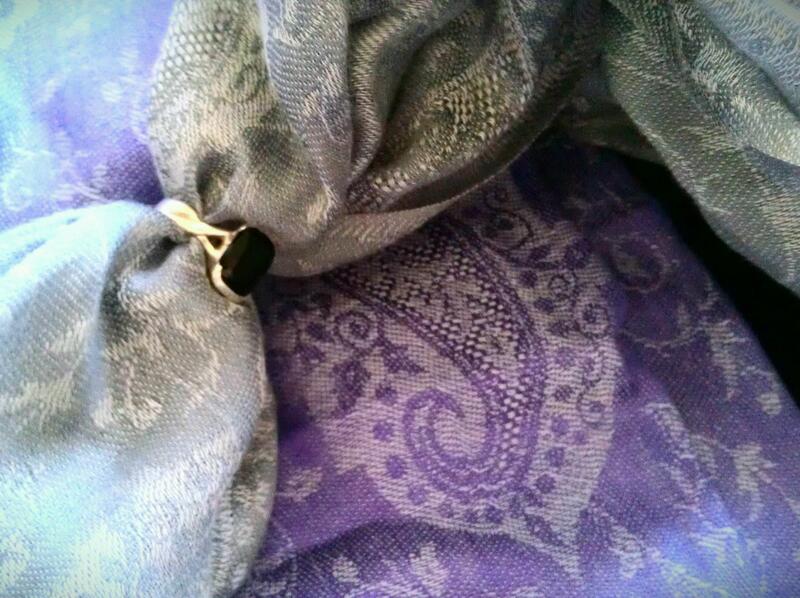 Eventually, the imitation shawls flooded the market, with most of the shawls coming out of Paisley. 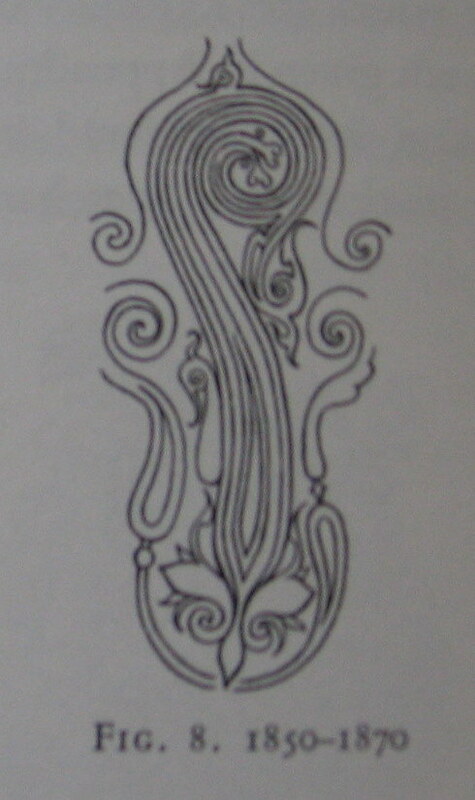 Paisley was unscrupulous in its desire to not only survive, but to succeed — blatantly copying the designs of its rivals in Edinburgh and Norwich, and filling the milliners and drapers shops of Britain with so many Paisley shawls that the clientele soon forgot that “Paisley” indicated the place of origin, not the pattern itself. They eventually put both Edinburgh, and Norwich out of business to the point that while we can identify Norwich shawls from the nineteenth century and distinguish them from Paisley’s, there are no known examples of surviving Edinburgh shawls, despite Edinburgh’s at one point being a major weaving town. And ultimately, many of the original Kashmiri weaving towns went bankrupt and were abandoned as well. The shawls were so popular that they altered along with the European fashions — even those coming out of Kashmir began to be almost exclusively made for the Western market. From the turn of the century through the Romantic era of the 1820s and into the 1830s, the rectangular-shaped stole with border designs was popular. 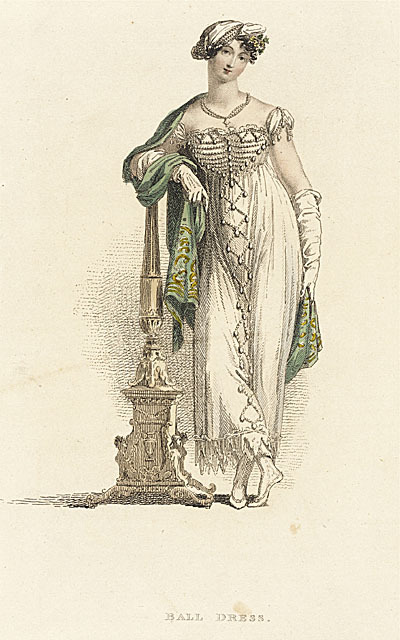 However, as skirts expanded into the bell-like shape, and eventually needed crinolines to keep them so wide, that was the fashion for the 1840s and 1850s, the shawls became more square, with all-over patterns and only a blank portion in the very middle. 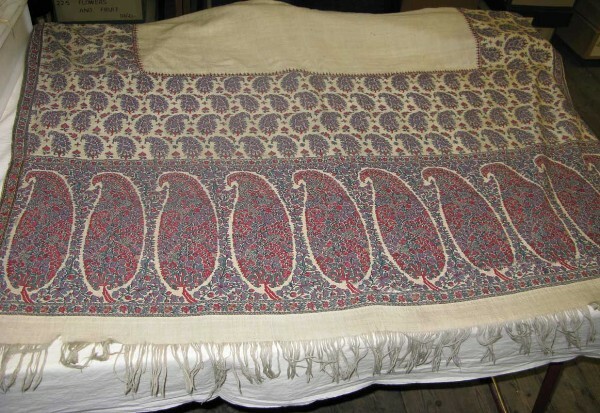 Shawls with reversed colour patterns also became popular as then the wearer could fold the shawl in a different way to achieve an entirely new look. The way of wearing the shawl altered as well. 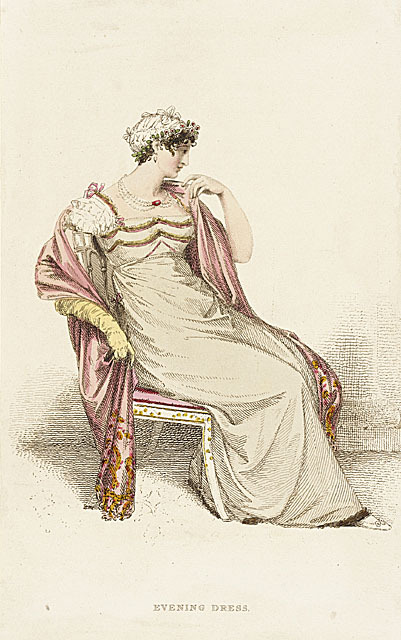 The directoire style was somewhat casual in the wearing of the shawl, as can be seen in the fashion plates below, but by the Victorian era, the shawl was now folded diagonally and worn about the shoulders, and often so large that the tip of the shawl would stop just above the hem of a dress, even with the crinoline. 1812 1813 Paisley Shawl, 1870. 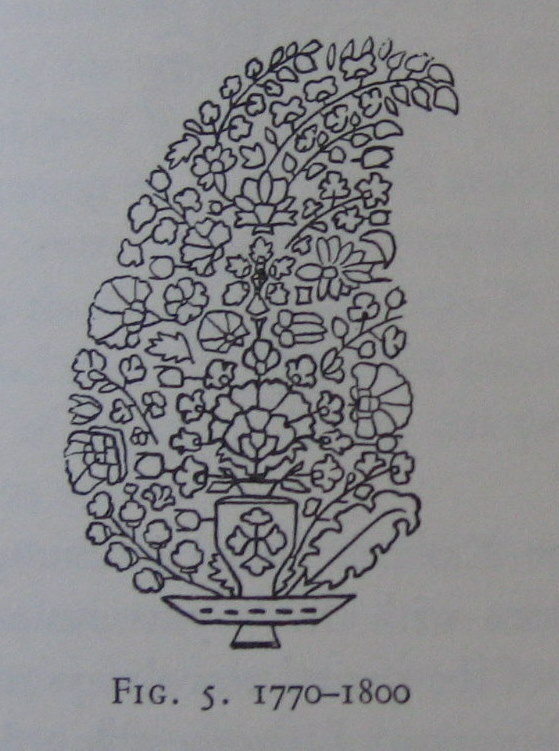 India, Kashmir, maker unknown. Photo by Monica Murgia. The shawl was popular for well over a hundred years, but by the late nineteenth century not even Paisley could survive the invention and popularity of the bustle. While I was studying these shawls in Edinburgh, I had the good fortune to have a roommate from Bangalore who has since become one of my dearest and best friends. While in Bangalore myself last summer for her wedding, it was absolutely necessary when buying souvenirs to acquire my own, genuine Kashmir shawls (they have mechanized weaving in India and Kashmir now, of course, so they were affordable enough for a poor academic). One for me, and one for my mum. The patterns are more muted and more subtle, as suits the modern fashions — a continuing tradition, if you will. But as you can see in the image above, they are still finely woven enough to be pulled through a finger ring. Who would have thought that a single section in a novel that I became curious about would bring me here? I don’t believe in fate. I’m quite content to believe that there is no master plan, but instead that life is nothing but a series of both happy and unhappy, unplanned accidents. One such is the gray “Indian Shawl” above, which I wear almost every time I’m heading out and the weather is a bit unpredictable. The most eerie of all, however, came about recently in a conversation with yet another of the wonderful friends I made in Scotland. While Skyping with her about her upcoming wedding and reminiscing about Scotland and how much we missed it, she asked me if I had ever seen the BBC miniseries, North and South. I laughed and told her that yes, I had. She then told me that she often watches it when she’s in a nostalgic mood, because so much of it was filmed in Edinburgh. Another happy accident, that brought it all full circle. (1) Nechtman, Tillman W. 2006. ‘Nabobinas’. Journal of Women’s Studies, Volume 18, Number 4: 8 – 30. Beardsley, Grace & Sinopoli, Carla. 2005. Wrapped in Beauty: The Koelz Collection of Kashmiri Shawls (Ann Arbor, Museum of Anthropology, University of Michigan Press). Clabburn, Pamela. 1995. The Norwich Shawl (London, HMSO). Irwin, John. 1973. The Kashmir Shawl (London, Her Majesty’s Stationary Office). Mackerell, Alice. 1986. 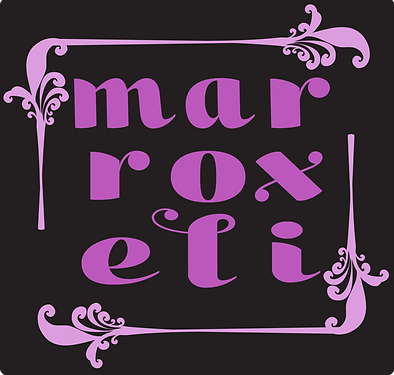 Shawls, Stoles and Scarves (London, B.T. Batsford Ltd). Nechtman, Tillman W. 2007. ‘A Jewel in the Crown? Indian Wealth in Domestic Britain in the Late Eighteenth Century’. Eighteenth-Century Studies, Volume 41, Number 1: 71 – 86. Nechtman, Tillman W. 2006. ‘Nabobinas’. Journal of Women’s Studies, Volume 18, Number 4: 8 – 30. Rock, C.H. 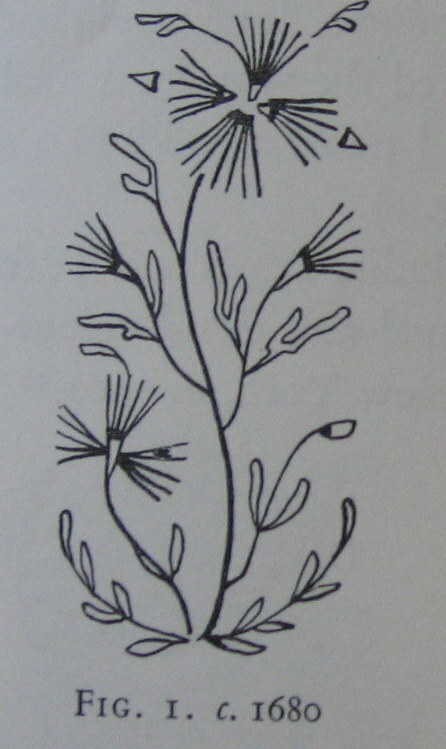 1966. Paisley Shawls: A Chapter of the Industrial Revolution (Paisley, Paisley Museum & Art Galleries). Rothstein, Nathalie. 2003. ‘Silk in the Early Modern Period, c. 1500 – 1780’ The Cambridge History of Western Textiles, Volume I, David Jenkins, ed. (Cambridge, Cambridge University Press): 528 – 561. Rothstein, Nathalie. 2003. ‘Silk: The Industrial Revolution and After’ The Cambridge History of Western Textiles, Volume II, David Jenkins, ed. (Cambridge, Cambridge University Press): 790 – 808. Shrimpton, Jayne. 1992. 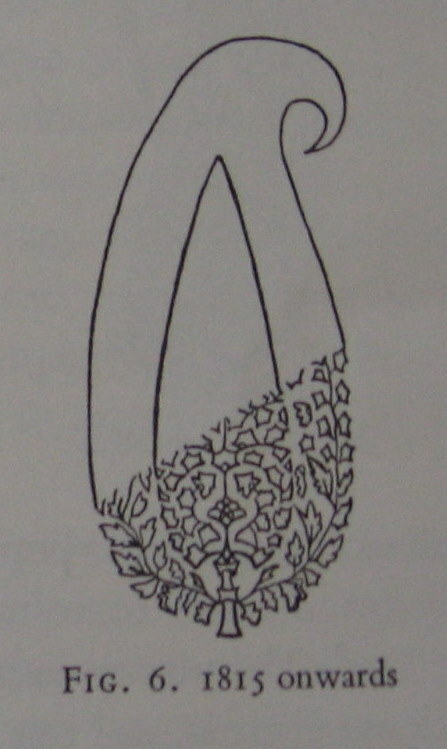 ‘Dressing for a Tropical Climate: The Role of Native Fabrics in Fashionable Dress in Early Colonial India’. 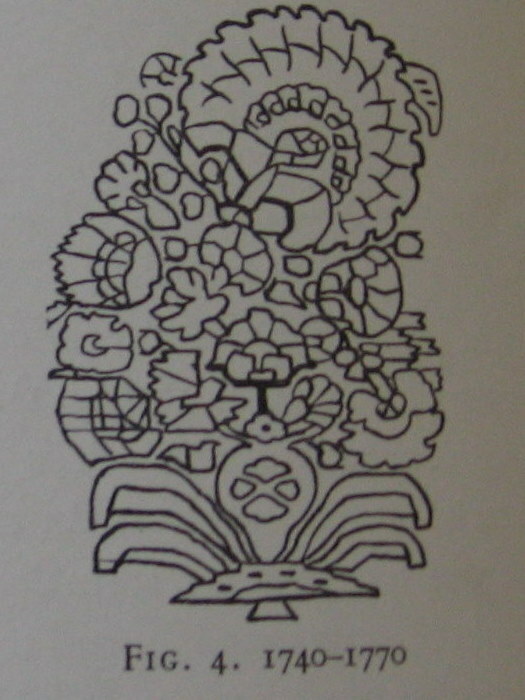 Textile History, Volume 23, Issue I: 55 – 70. Smith, Simon. 1998. British Imperialism 1750 – 1970. (Cambridge, Cambridge University Press). Stewart, A.M. 1946. 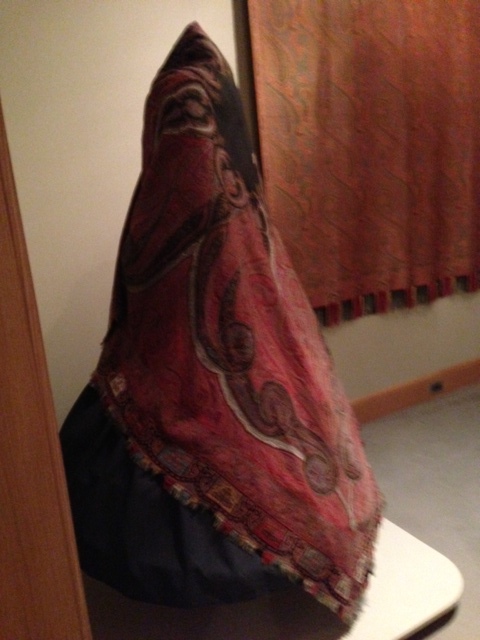 The History and Romance of the Paisley Shawl (Glasgow, Paisley Museum). What a fascinating story! Both about the scarves and about how they influenced your career! I think I might have to look out for one of those for myself, they sound very warm, and as someone who is allergic to wool, something like that might be very useful for my costume cupboard! 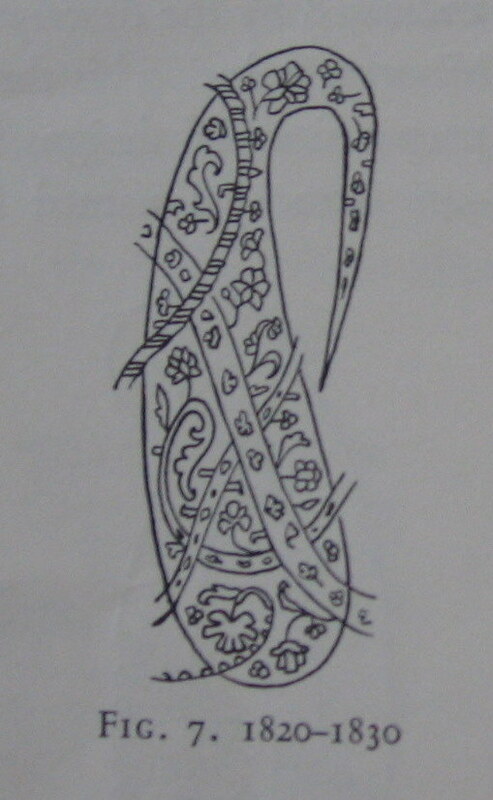 A wonderful post about Indian and Kashmiri shawls and their importance in fashion history. I just had to share! Thanks, Merry! I appreciate the share and the accompanying exposure. So glad you liked the post. Terrific article! Have you seen this site? http://www.heritagetradinginternational.com/ I’m a pretty practical/unemotional person, but looking through their catalog I was just about crying from sheer beauty and coveteousness! I had not seen that site, no. Thank you so much for the link! I have bookmarked it and will be checking it out in future. I enjoyed this post so much, Brenna. It is amazing how a textile literally has shaped your life!